On this tour you will not only see the main highlights of Tallinn, but also the feel of our Estonian countryside. Farms, the biggest waterfall in Estonia, and the smallest castle in Europe built in the 16th century are a part of this nature tour. We’ll cover all the best attractions of Old Tallinn as well. You'll see the towers and the mighty wall of Toompea Castle, drive through high tech district of Tallinn’s City, and marvel at the old wooden districts of Tallinn. 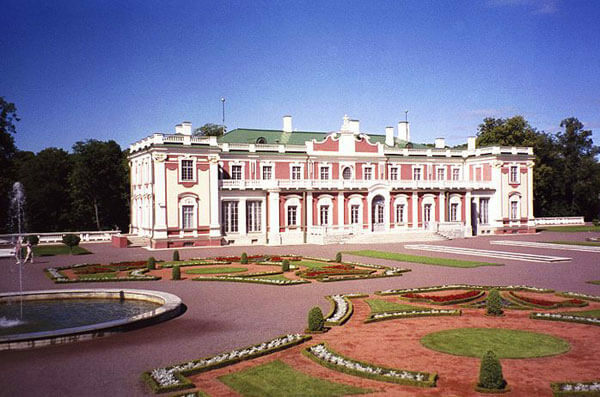 We’ll pass by Kadriorg Palace and Park, visit the famous Tallinn Song Festival Grounds. The festival grounds are listed by UNESCO as world cultural heritage site. The bus tour will end in Old Town and here we’ll continue on foot. Old Town Tallinn consists of two parts, Lower Town and Upper Town – we'll see both of them. Upper Town (Toompea Est.) – the town of noble knights, landlords and soldiers. Here you will see two cathedrals, the Russian Orthodox Alexander Nevsky Cathedral and the Lutheran St. Mary’s Cathedral. You will enjoy the panoramic view of the Tallinn from one of the viewing platforms in Upper Town. After seeing Upper Town the tour will finish on Town Hall Square. Estonian countryside. Farms, the largest waterfall in Estonia, pine forests and the smallest castle in Europe.